In the early hours of April 11th something monumental happened. The Infrastructure Hub belonging to Goonswarm Federation in the system of VFK-IV was destroyed. Within 15 minutes a new one was deployed and onlined by the one of the members of the Money Badger Coalition, Pandemic Legion. The system had been reinforced two days prior by TISHU, and several entities worked together to flip the IHub. Test Alliance, The-Culture, Pandemic Horde, TISHU, Waffles and others all worked on clearing nodes and keeping the entosising ships clear of hostiles. 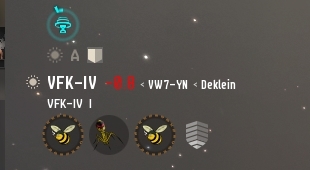 Pandemic Legion and NCdot formed a Legion and Proteus fleet that hovered over the entosising carriers in the VW7-YN constellation, ready to dive in if hostiles threatened progress. The Imperium fielded three fleets: Hurricanes, Caracals, interceptors and a stealth bomber fleet. The Hurricanes and Caracals skirmished in the systems of 2R-CRW, VFK-IV, and YAO-XJ. Specific details are a bit hazy as fighting broke out over a number systems with several clashes happening nearly simultaneously between opposing fleets.TISHU brought a Proteus fleet, assisted by Test and Darkness, that clashed with Imperium Hurricanes and Caracals in VFK-IV and YAO-XJ. Violence of Action also joined in on the action with a Confessor fleet. The Imperium forces also suffered heavy losses at the hands of a Cerberus fleet flown by the low sec “Voltron” group consisting of Shadow Cartel, Snuffed Out, Dead Terrorist and others while a Svipul fleet flown by The-Culture picked off stragglers. 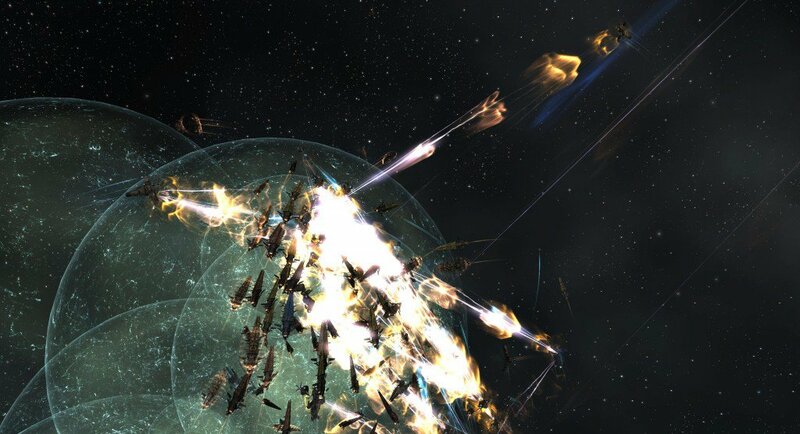 Rumour has it the Horde/Honor fleets incurred heavy losses while leading Imperium fleets on a chase through a neighboring constellation, keeping them occupied while attackers made progress on the nodes. There were many more entities involved and hundreds of killmails. Both sides sustained losses. In the end, Imperium forces were heavily outnumbered and forced to retreat. Now this does not impact the outcome of the war by any great margin. Destroying an IHub in a system that has been relatively unused does not mean that the war is over. What it does signify is that something that seemed impossible three months ago was accomplished in a few hours by a few hundred, not thousand, pilots. 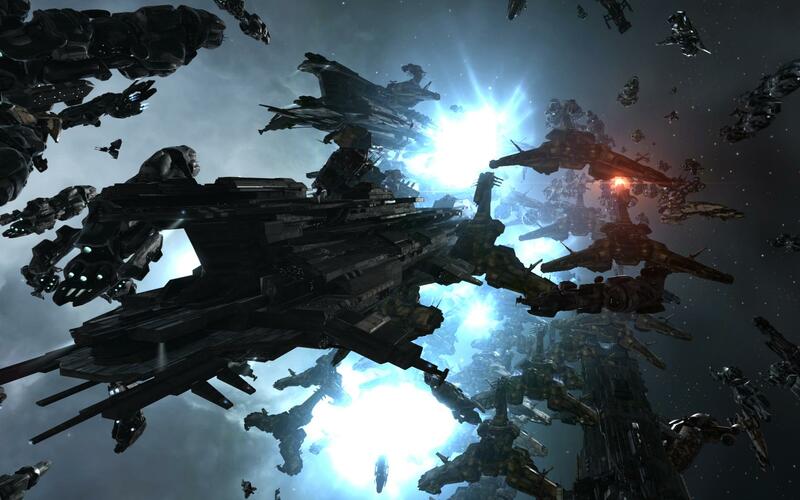 There were no massive TiDi battles with Twitch streamers and trillions of ISK being vaporized. It hardly seems fitting for the famous words “VFK by May” uttered over the course of the last four years to be fulfilled in a small clash rather than a behemoth struggle. In years past, VFK-IV was used as a staging system and had great cultural significance. Many attackers to The Imperium had made threats over the years and “called their shot” by stating when they would take the capital system of Goonswarm Federation. When the jump range changes were put in effect The Imperium moved their capital to YAO-XJ, but the idea that VFK-IV was the symbolic heart of the region remained. Each time before, the campaigns had been unsuccessful and fallen short, making this system the embodiment of idea that The Imperium was an impenetrable fortress. VFK-IV is no longer a capital system and nor is it of the same strategic value that it once was. However, it shows the defender’s great vulnerability in their inability to form a large enough fleet to fend off the attacking force. This lackluster defense shows that The Imperium did not value the system and the aftermath is yet to be seen. VFK-IV still has timers to be contested, most notably the station. With its close proximity to YAO-XJ, only two gate jumps away, The Imperium may choose to commit more assets. YAO-XJ was the staging system for capital-class ships before the evacuation was called a few weeks ago. Allowing their opponents to have such a close foothold may complicate things further for the ongoing evacuation of Imperium assets. Now that being said, my part in this war is that of a grunt and I can’t claim anything but speculation on the strategic decisions of either party’s leadership. I was excited for this engagement and stayed up until the early hours of the morning to participate in what I thought was going to be an iconic battle. Instead I helped reinforce POCOs while entosis ships slowly ticked away at their progress and our fleet stayed unmolested. There was a brief moment of adrenaline when two squads of bombers decloaked and bombed our fleet. Unfortunately for them they were dispatched quickly and the only lasting effect was a new killmark on the side of my Legion. Oh well, life is full of disappointments. Dectoris is a pilot in a corporation named Carpe Noctem; a group of friends that stayed together after the collapse of Black Legion. They currently reside in Pandemic Legion and take part in many different scales of PVP.